Always remember, regardless of what befalls you in the moment, to hold your head up high; for who you really are is not made for low places, let alone that you should agree to dwell there in its darkness. We must learn what it means to reach for a whole new place within ourselves; to find and stand upon a Higher Ground from where it's possible to see that our present thoughts and feelings reveal only a fraction of the whole of our possible experience -- instead of being what now defines our whole world for us through their conditioned and incomplete perception of it. Reversing this unconscious condition in ourselves is both the purpose and the plan of the Timeless Truth. Insights and higher knowledge are its tools. Our task is be receptive and willing; to be open to what is trying to reach us and teach us about the Truth of ourselves, and to accept the inner responsibility these timeless lessons reveal as being good and necessary for our freedom. As this higher receptivity and responsibility are united within us, a new destiny is forged for us. Its direction becomes one great power headed upward! Now let's learn how we might bring this power's promise to bear in our individual lives. Have you ever heard yourself say, "What in the name of Heaven was that all about?" and you were asking yourself what you had just done? Or along the same lines, "What on earth was I thinking?" when it became clear you hadn't been thinking at all! Then there's always, "How could I have been so stupid? So blind?" Or -- you fill in the blanks. It's more than clear there are many times when we act out behaviors that, while seeming right to us at the time, are later found to be all wrong for us and everyone else unfortunate enough to have been caught up in our misguided choices. But how do such blunders take place, knowing that no one would consciously choose to defeat himself? The simple answer is that we don't see what's actually before us. We are temporarily blinded, but not in the sense of having no vision. Our momentary blindness is due to our own conditioned nature as it supplies us with its view of reality; one that we mistakenly accept as being ours; an error that can only be corrected by becoming more and more aware of the actual nature of our own internal workings. To see where we have been deceived -- after the fall -- is one thing. But learning to see how we're being fooled -- right in the act of it -- brings an end to both the fool and the fall brought on by his foolishness. 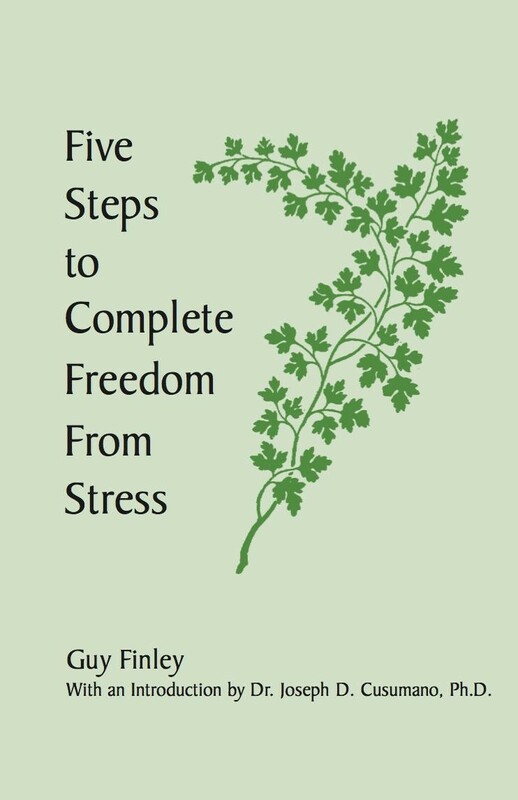 Excerpted From: 5 Steps to Complete Freedom from Stress, pages 12-14.